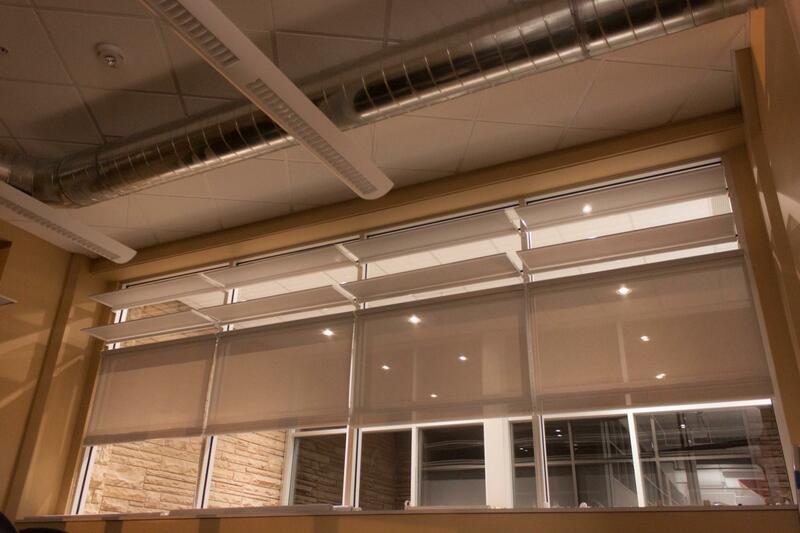 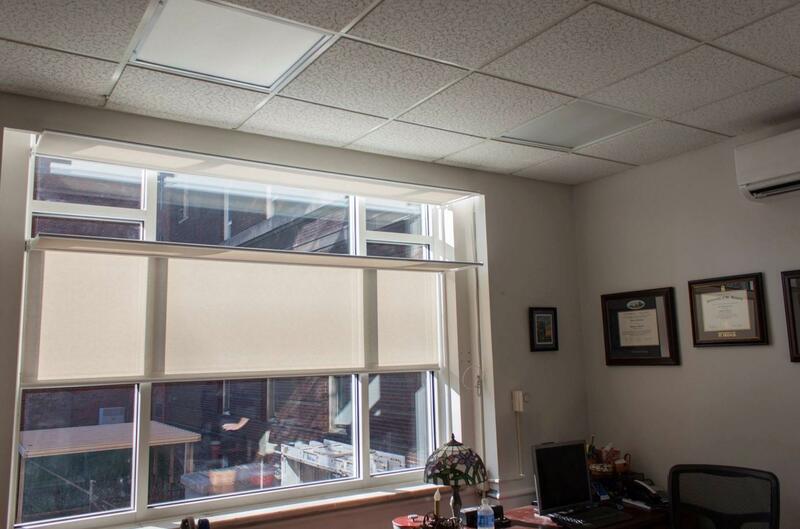 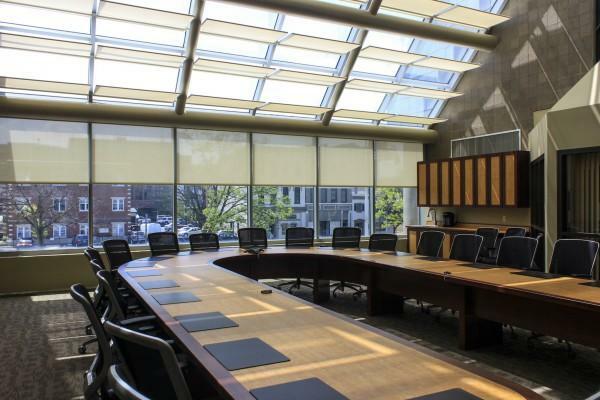 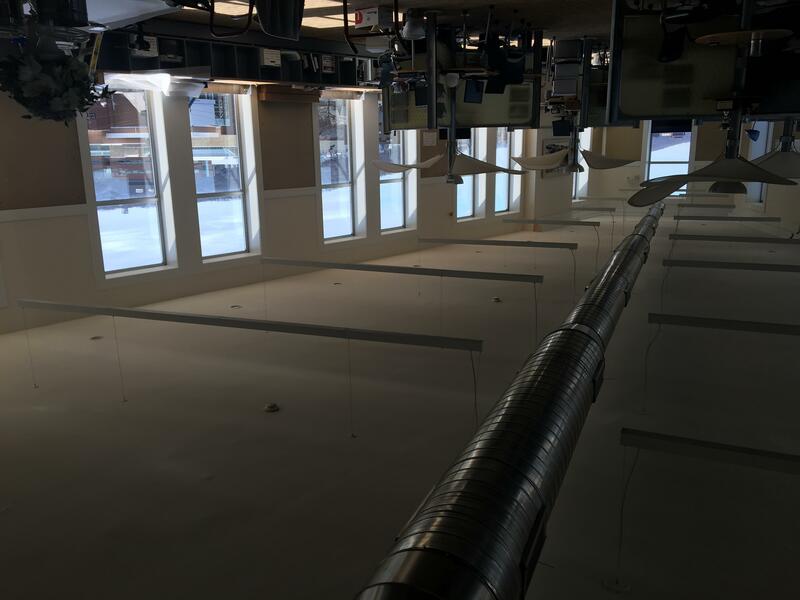 Designed to create glare-free spaces, the interior daylighting & shading system from Indoor Sky totally transforms this office at Williamsport Regional Medical Center. 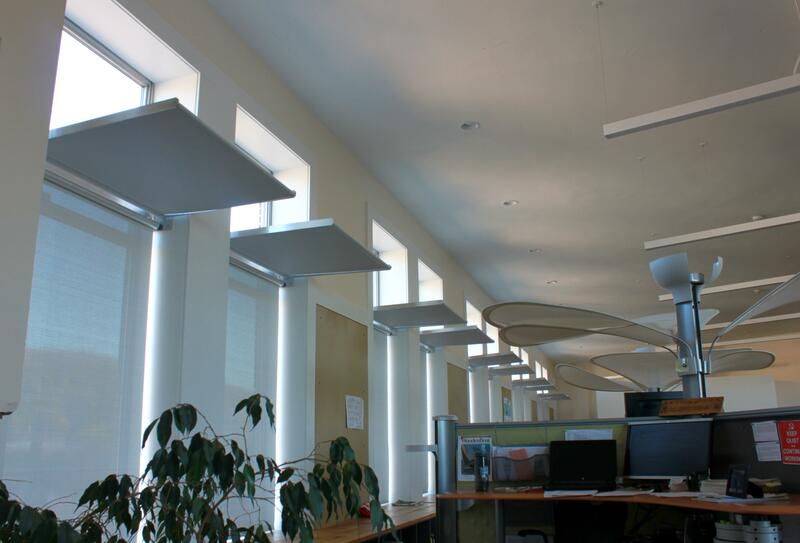 The system, featuring operable fabric lightshelves and integral roller shade, delivers superb light quality by distributing diffused daylight evenly within the space. 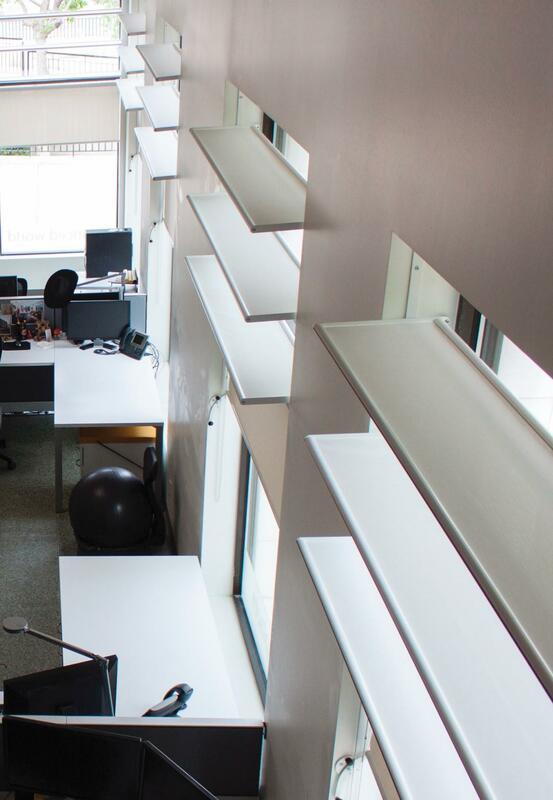 Studio renovation designed for ultimate daylighting. 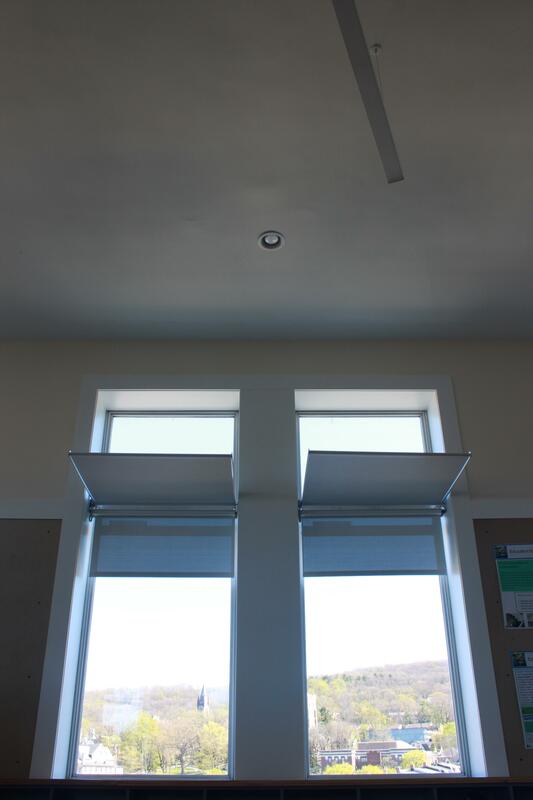 The 22 foot high open beam ceiling in this refurbished studio, complete with diffused skylight, demanded a window treatment that could anchor the space aesthetically. 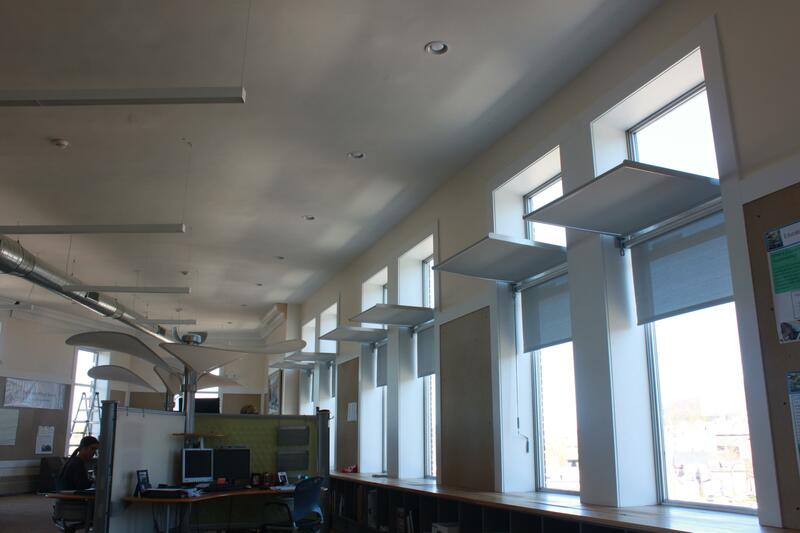 Each large window showcases a Dayliter Shade with triple, operable lightshelf to take advantage of the ever changing daylight. The southern tree lined facade creates shadows that play on the shades in the breeze. 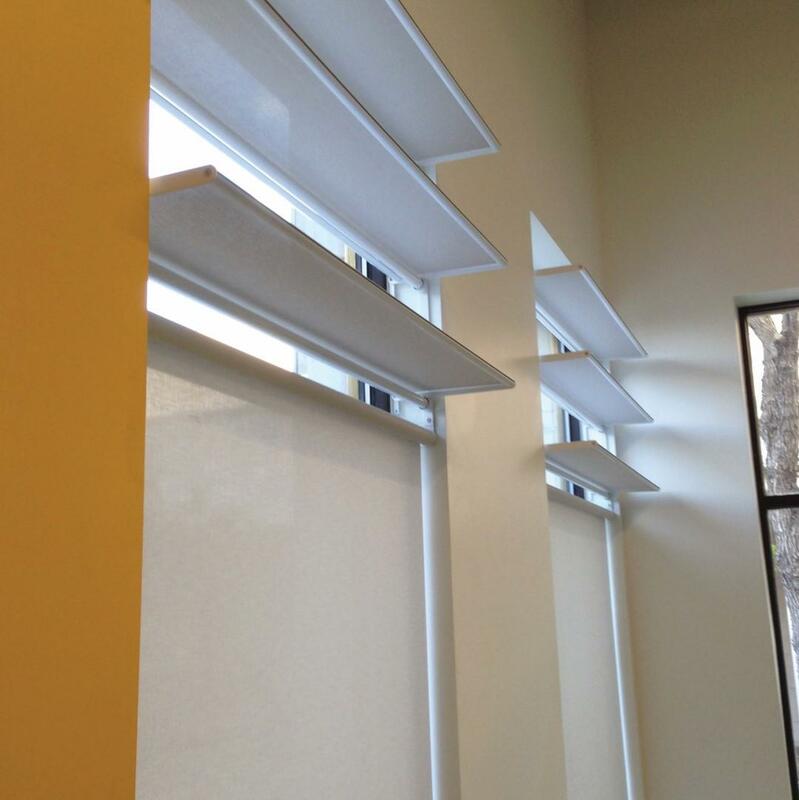 “We love these shades and so does everyone who comes in here,” expounded Paul Hutton managing partner. 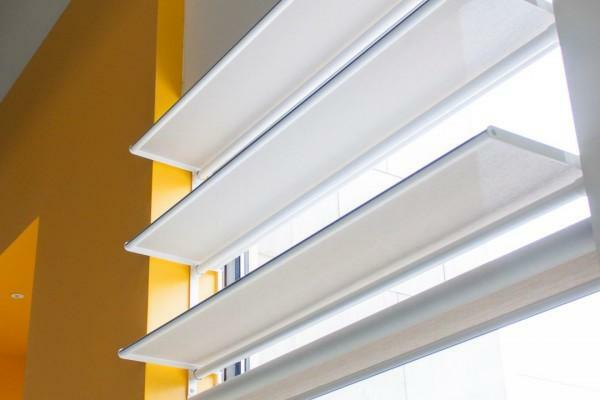 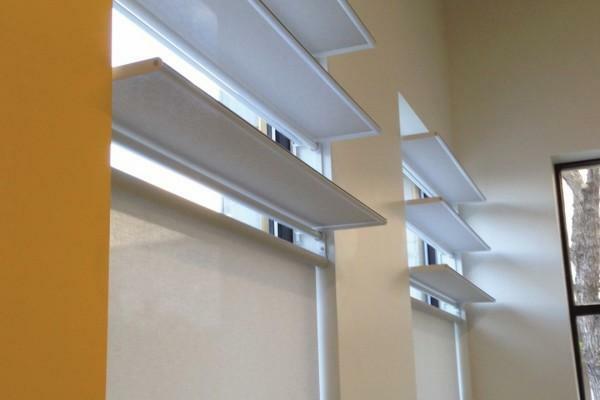 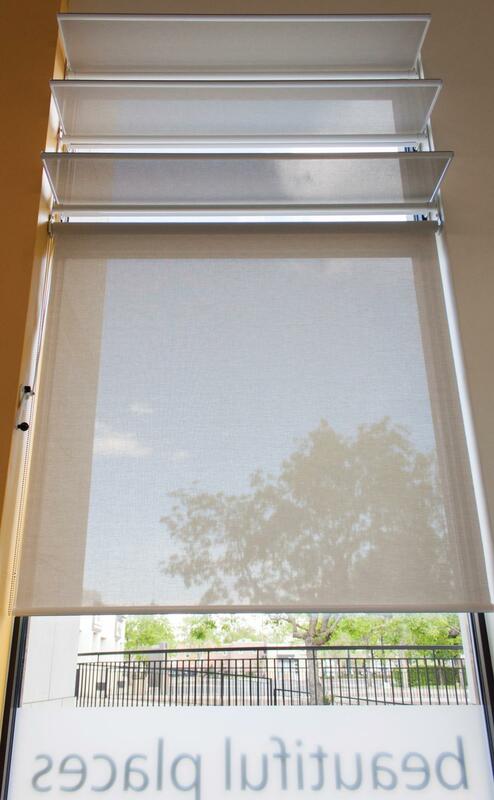 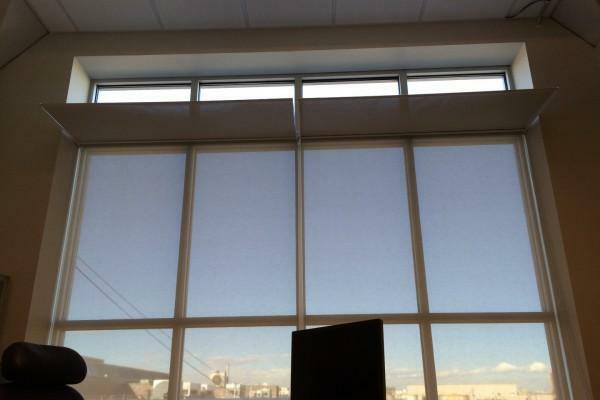 Shades may be manually operated or fully automated. 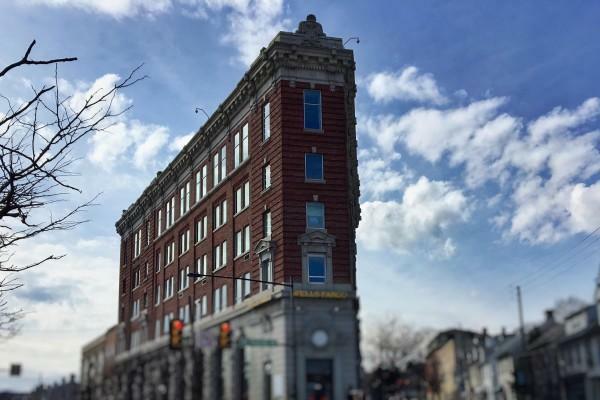 Breathing new life into a local landmark. 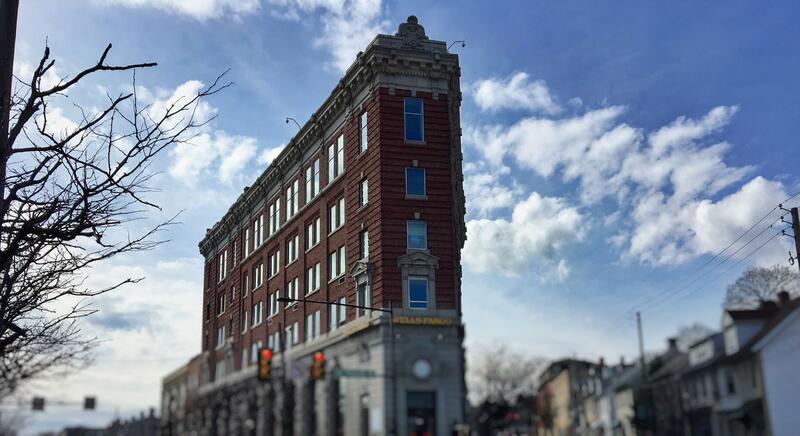 This iconic building in the center of town was in need of renovation. 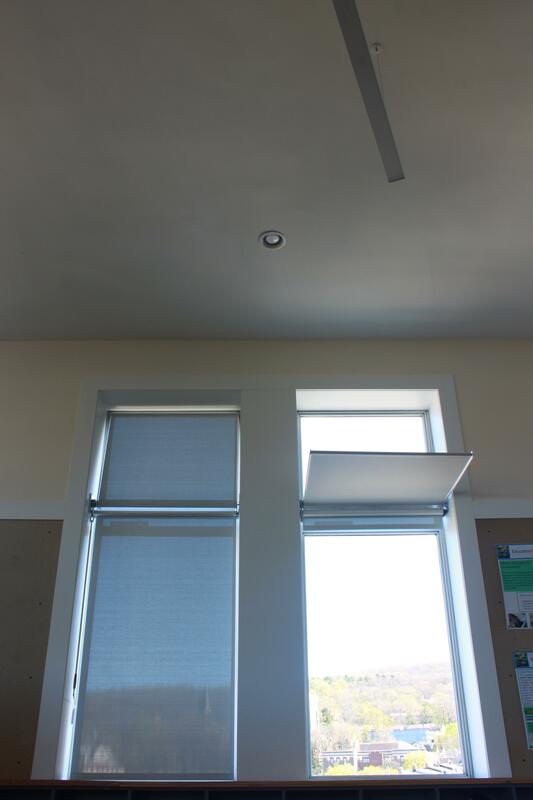 As sustainable design consultants, the owners The Stone House Group were keen to employ good daylighting techniques and selected a custom made Dayliter Shading System to suit the tall narrow windows. 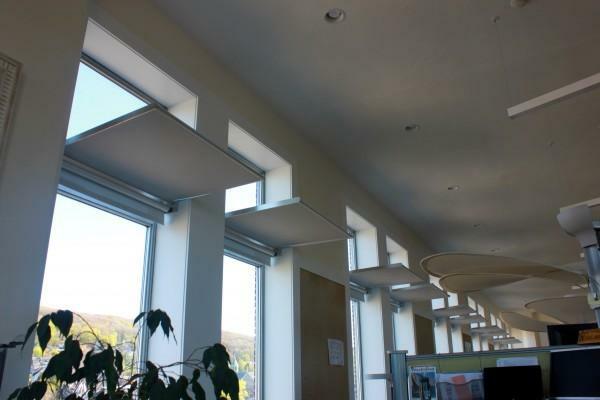 Rather than select a “stack” of lightshelves the designer elected to go with a single 36” shelf but needed it to be operable. 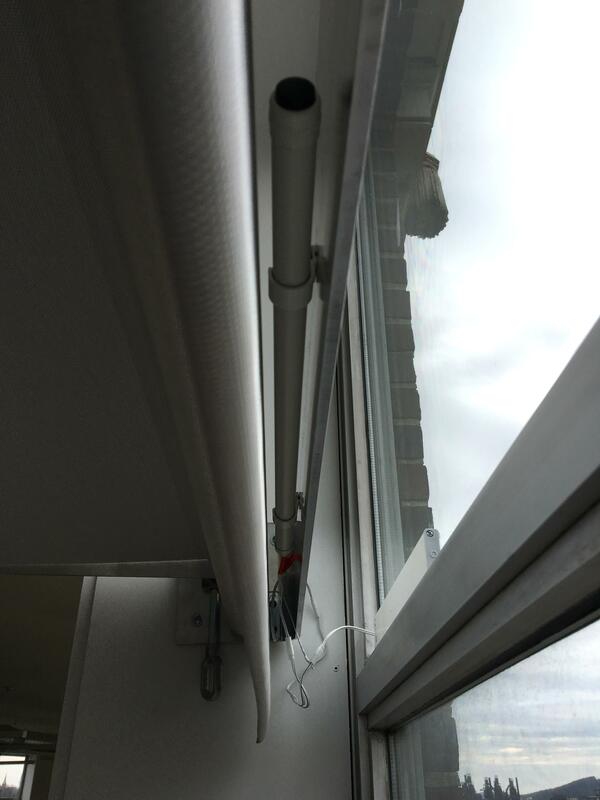 Using a new worm gear operating system, Indoor Sky were able to produce both the functionality and aesthetics that the project required. 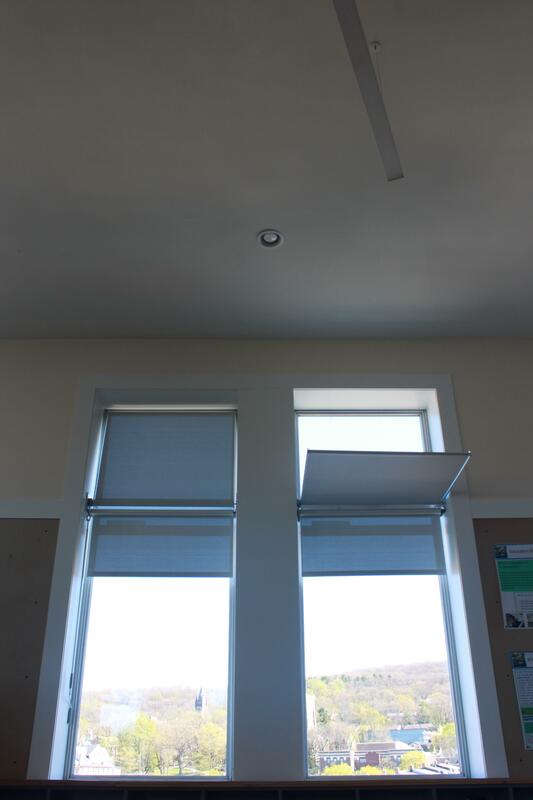 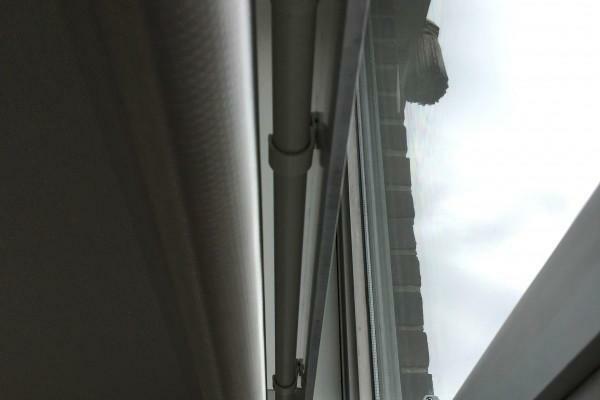 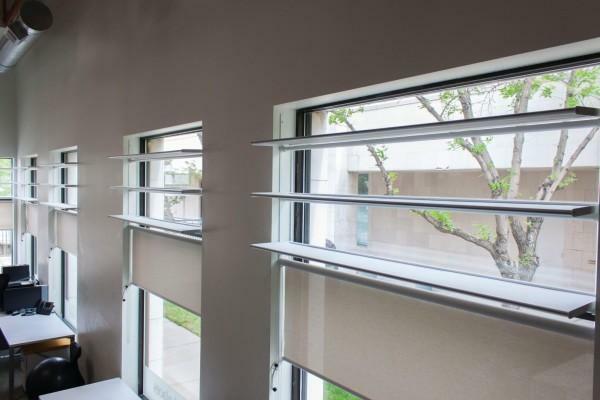 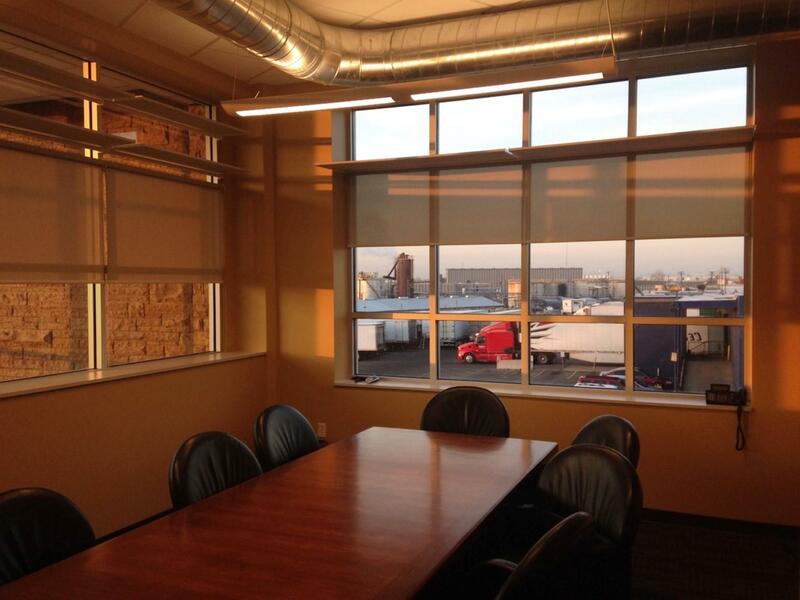 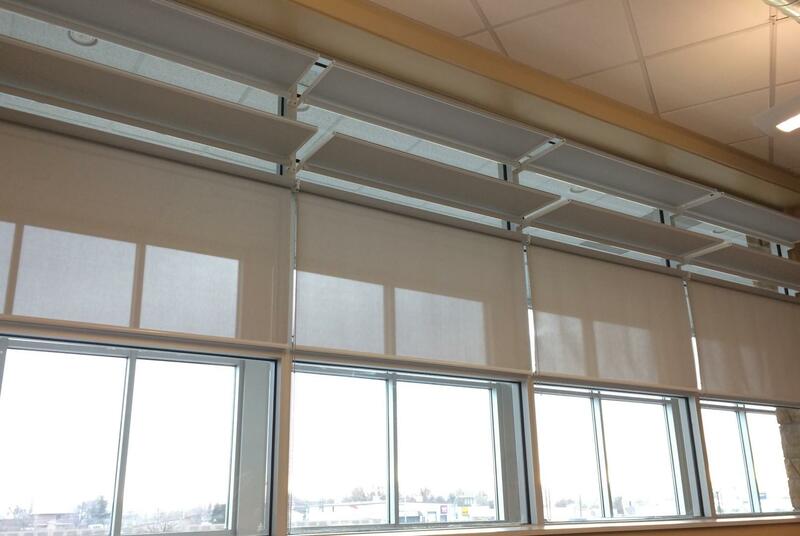 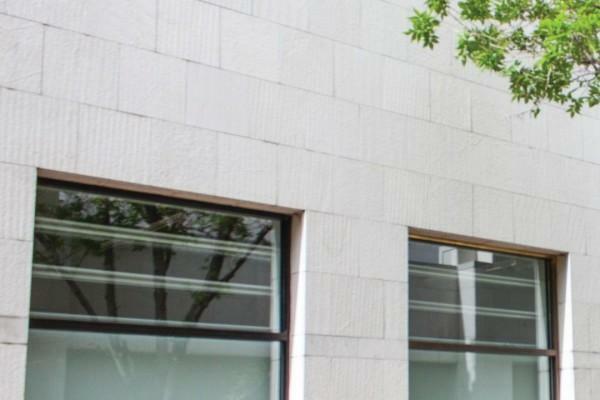 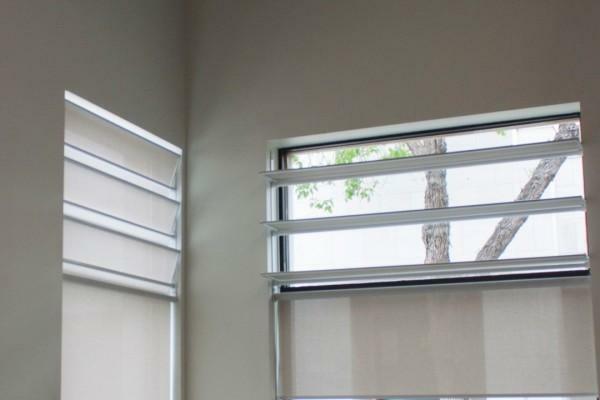 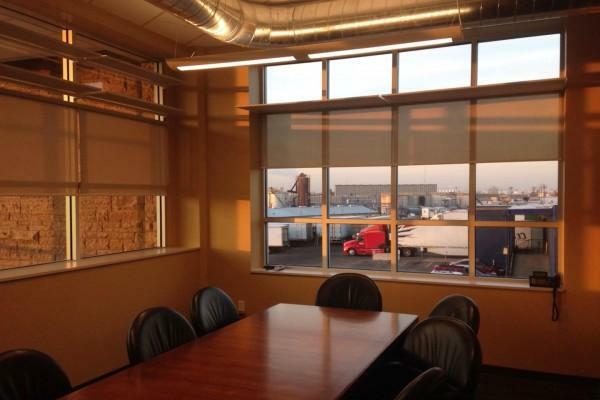 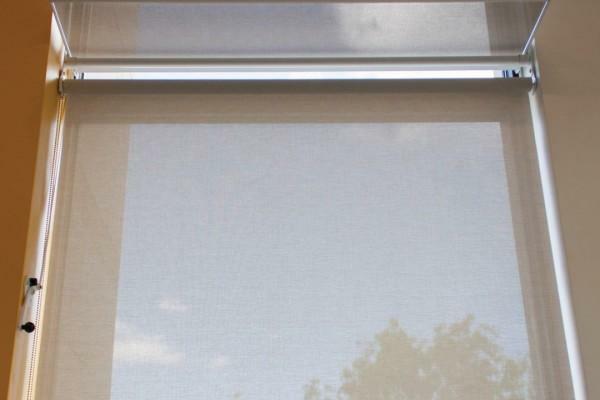 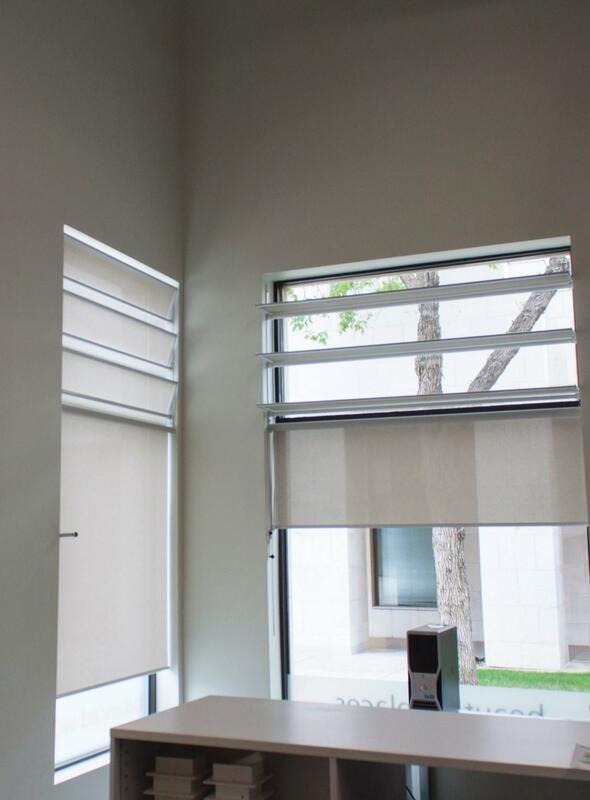 Motorized roller shades driven by a PV panel completed the system saving the owner significant money by not having to run electrical service to each window head through dense engineering brick. 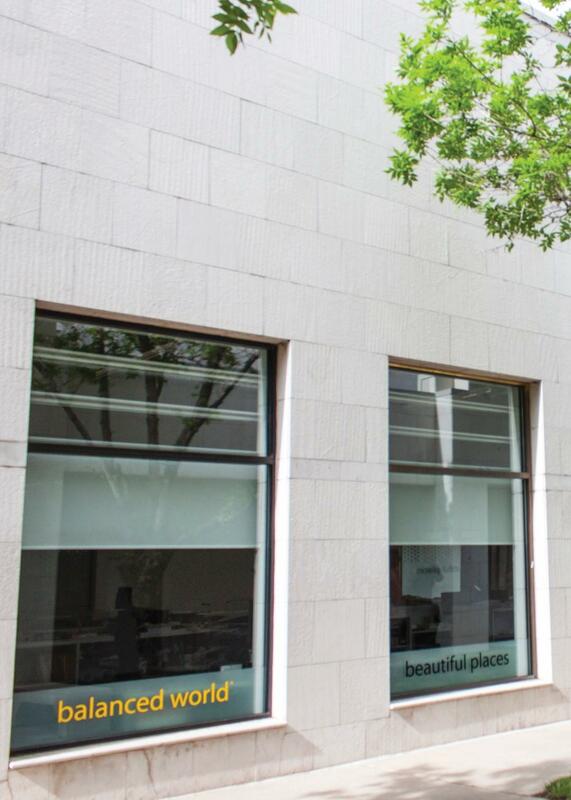 This naked glass facade once housed a tree growing up through the floor but when the tree was removed the space was unusable due to heat gain and glare. Indoor Sky was asked to develop a solution that would allow control of both temperature and daylight and allow the space to be used as a corporate boardroom. 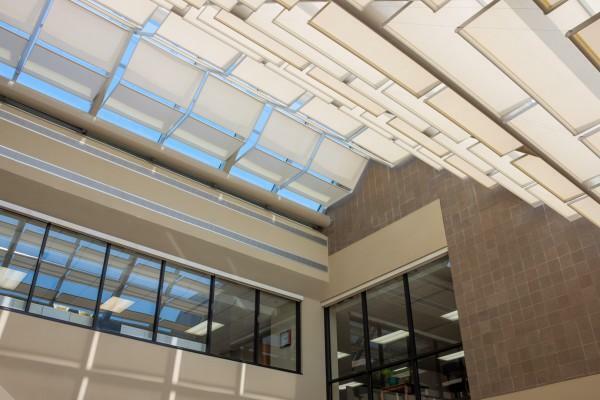 The solution features (54) motorized fabric lightshelves operating in (3) separate zones and a fixed canopy at the apex facilitating full control of the changing daylight conditions throughout the day. 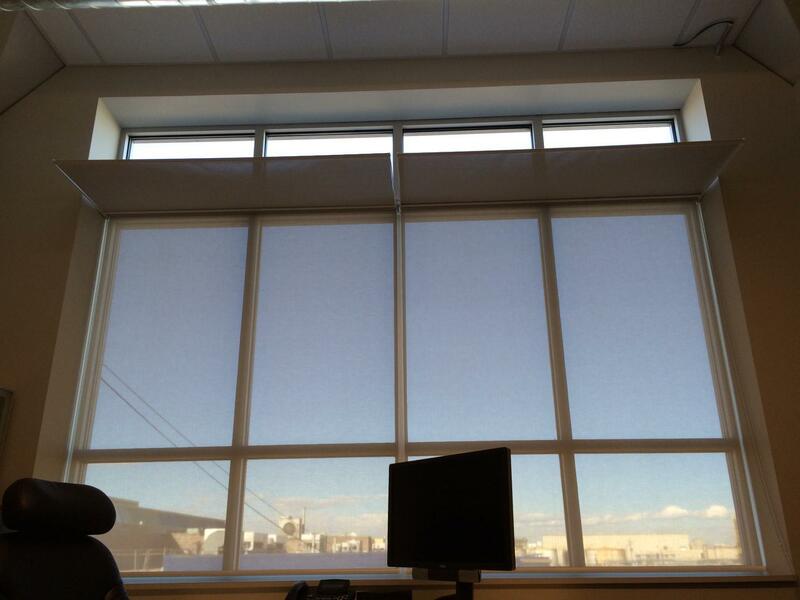 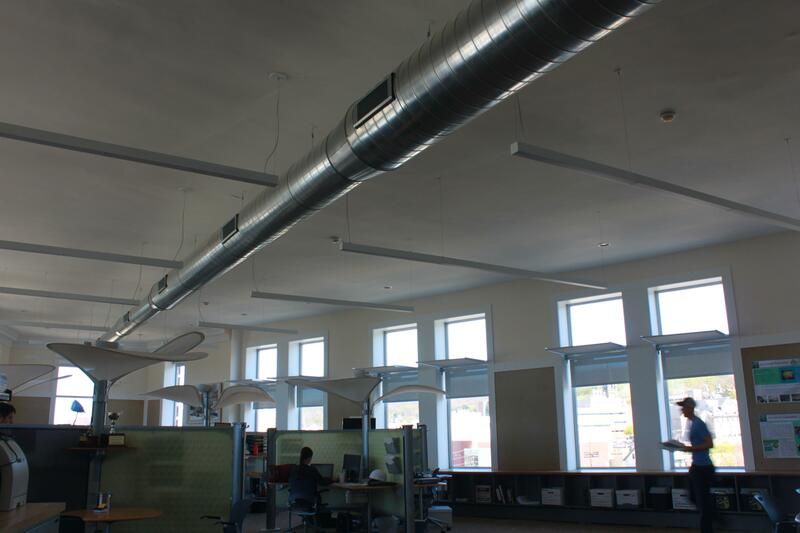 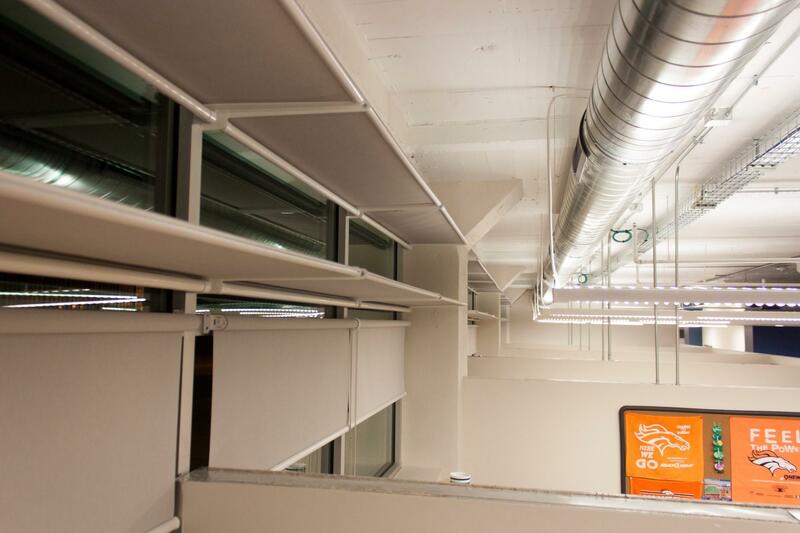 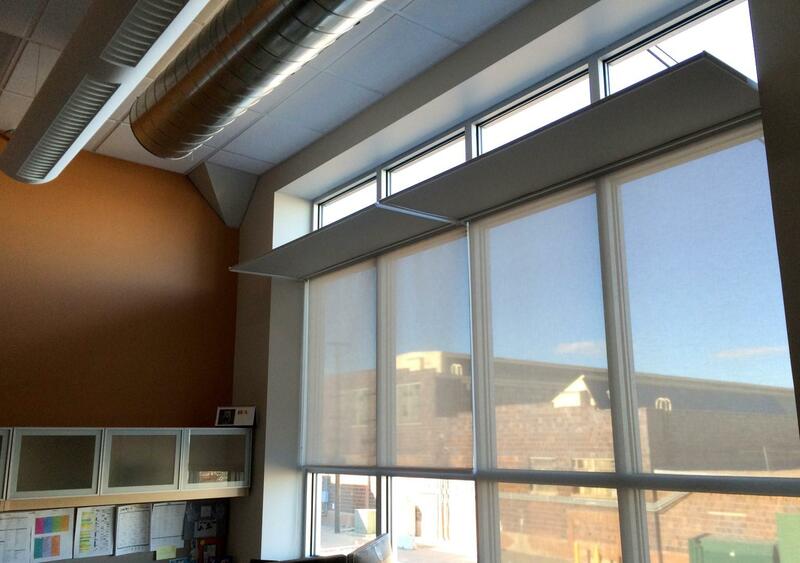 "The functionality is amazing; first of all glare but we had a heat issue and trouble cooling the space. 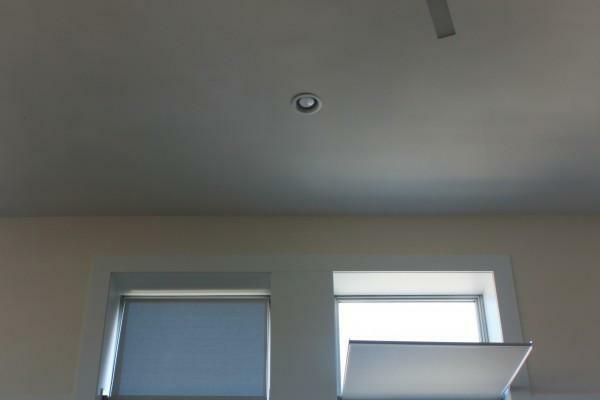 Now some people feel that it's too cool!" 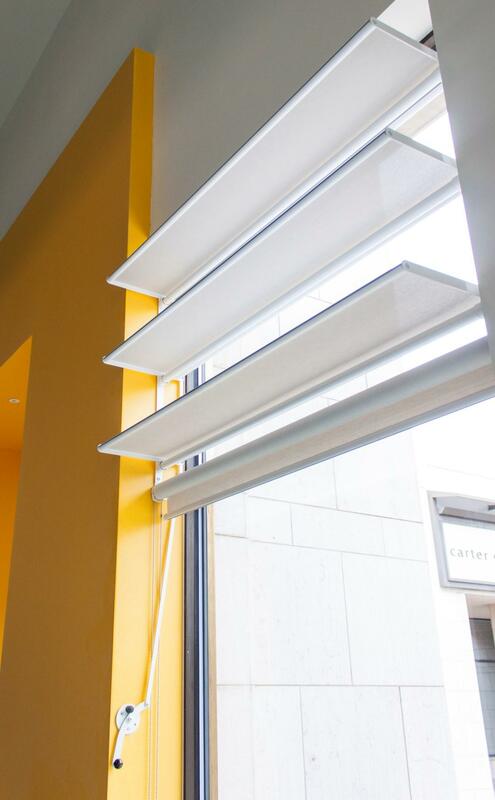 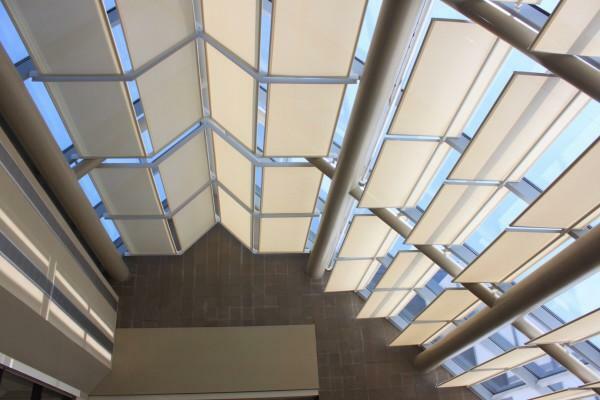 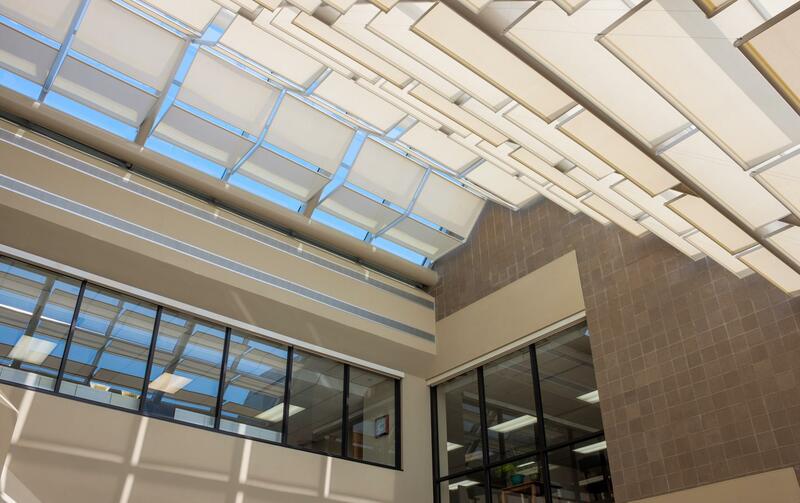 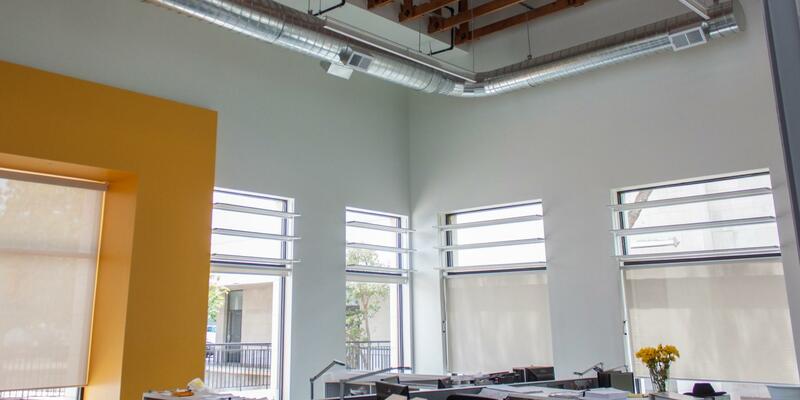 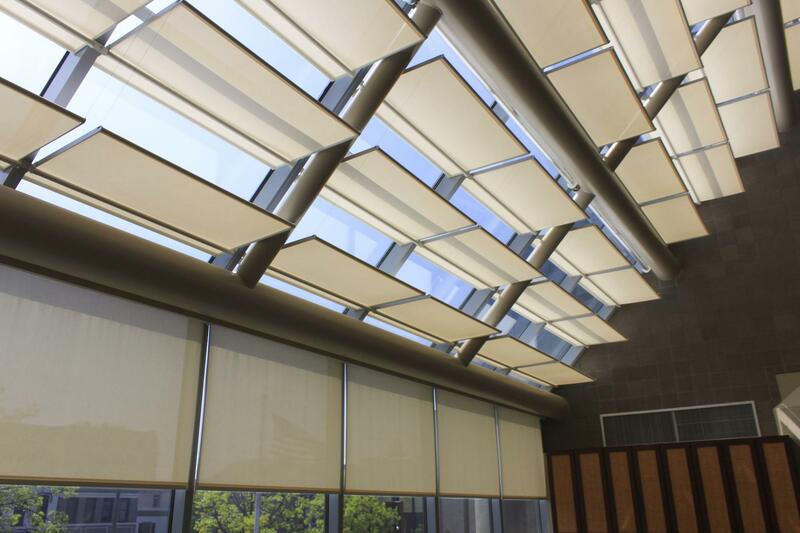 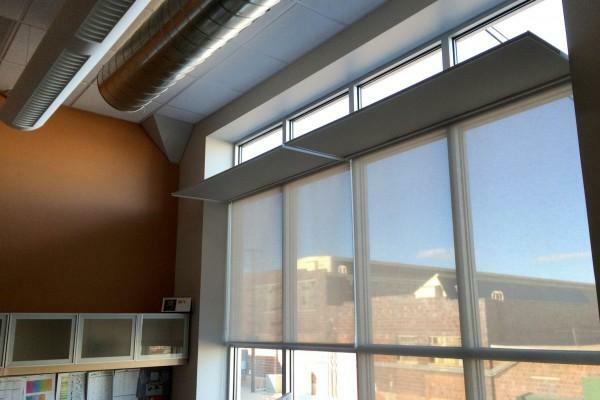 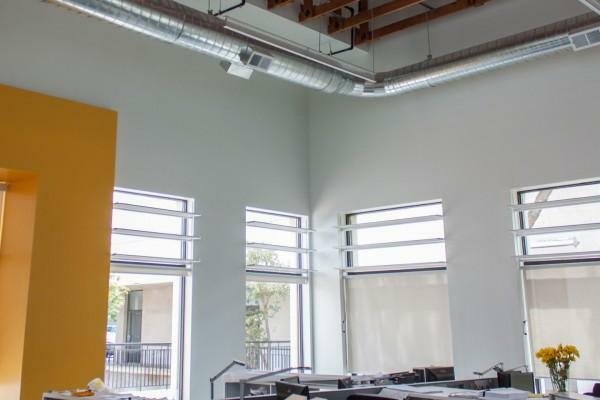 The versatility of the Dayliter Shading System on this project is unparalleled - featuring single and double lightshelf assemblies from 9 to 21 inches deep and fabric with 5% openness factor for excellent visibility and optimal shading. 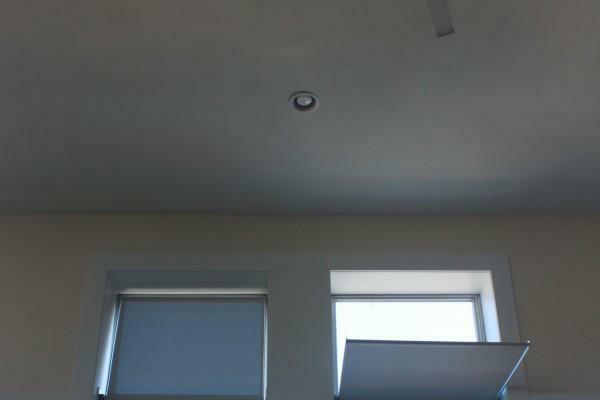 Double lightshelves used on the East & West elevations may be rotated to cut off early morning and late afternoon sun. 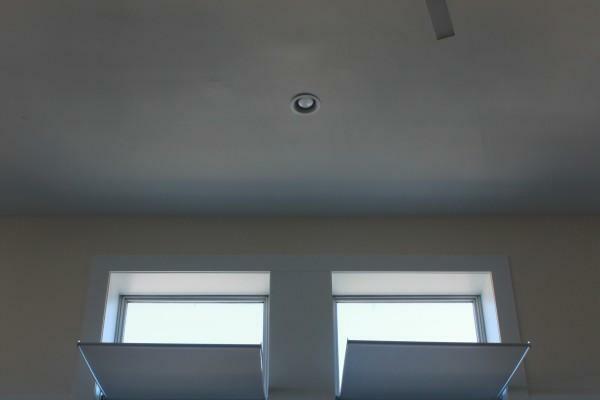 The single lightshelves on the North elevation are sized to bring in maximum daylight with minimal glare. 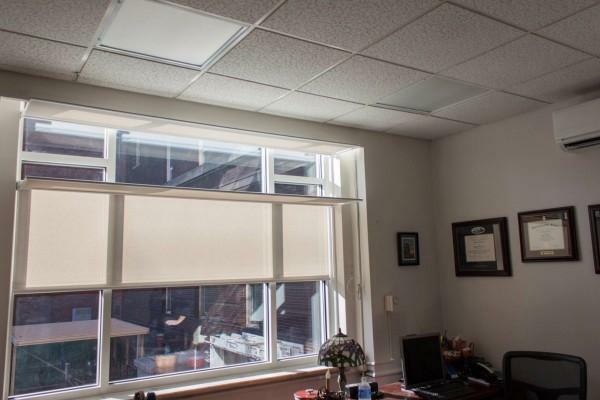 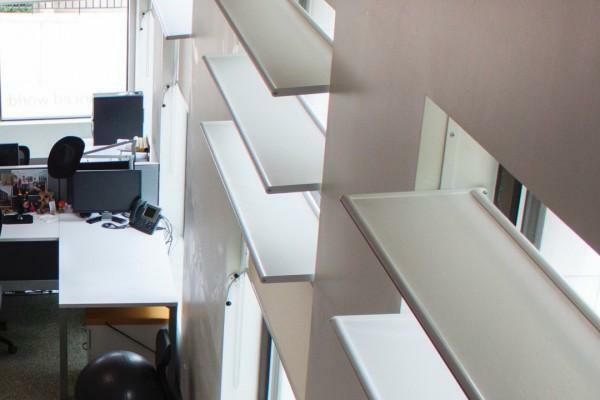 Daylight impacts human health and performance by kick-starting the body’s circadian system, affecting mood and perception, and by enabling critical chemical reactions in the body. 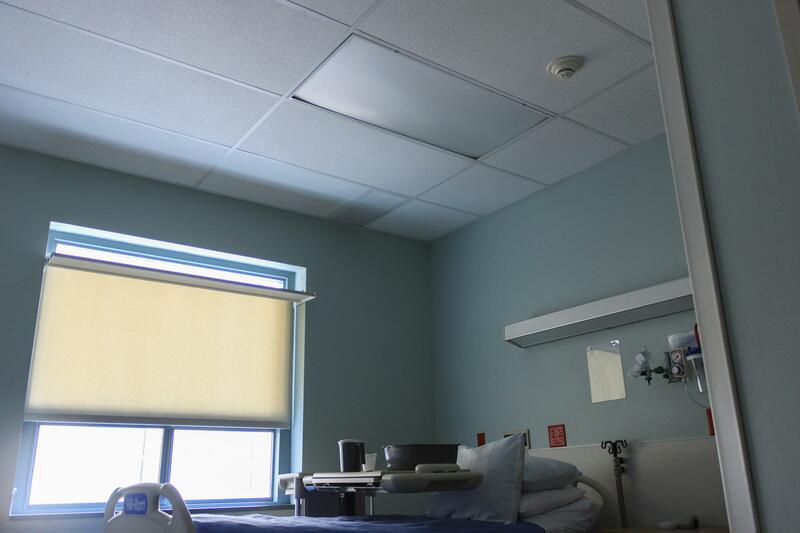 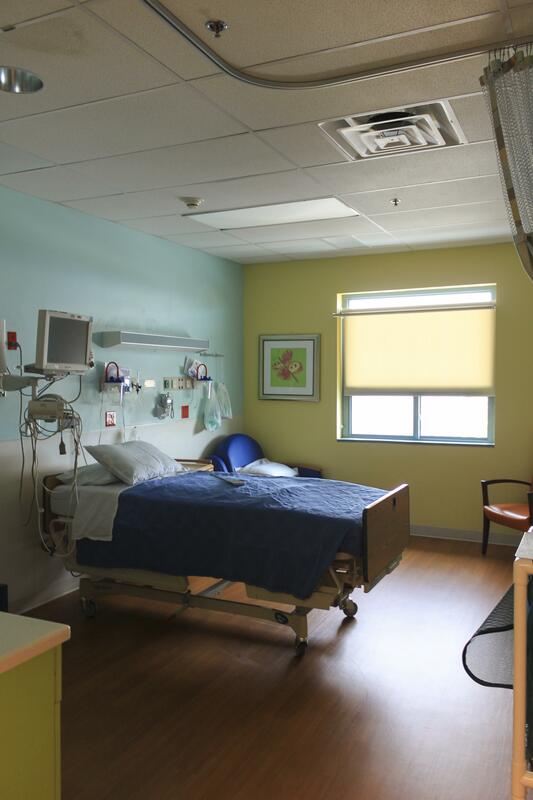 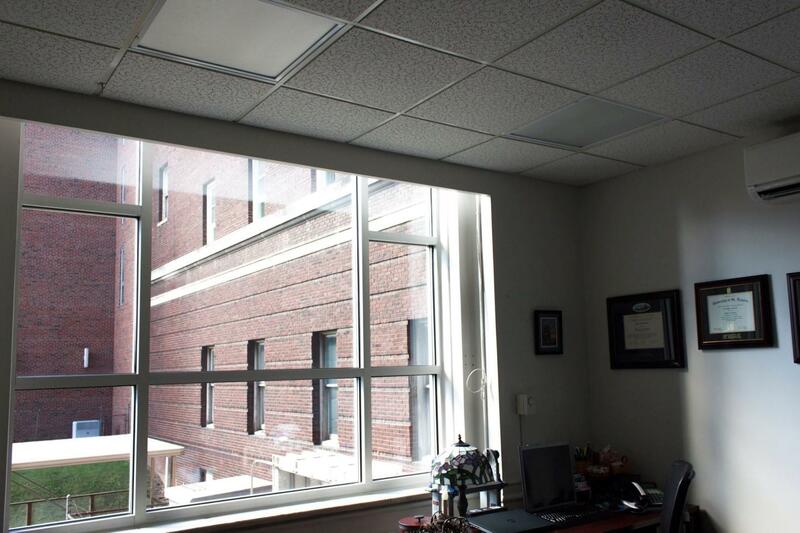 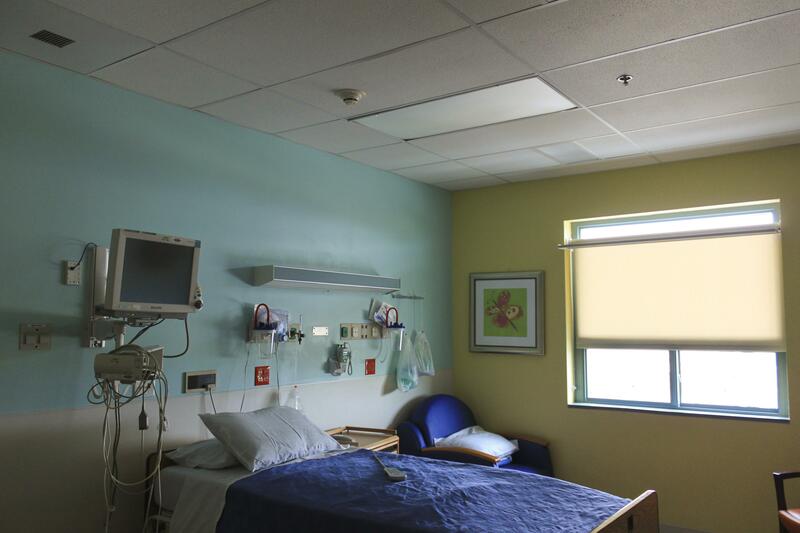 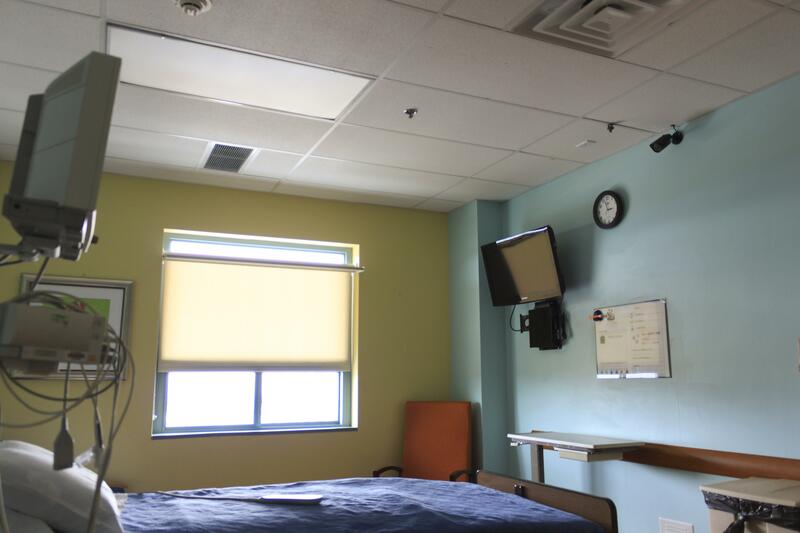 Patients in rooms with good daylight require up to 25% shorter stays and 25% less pain medication. 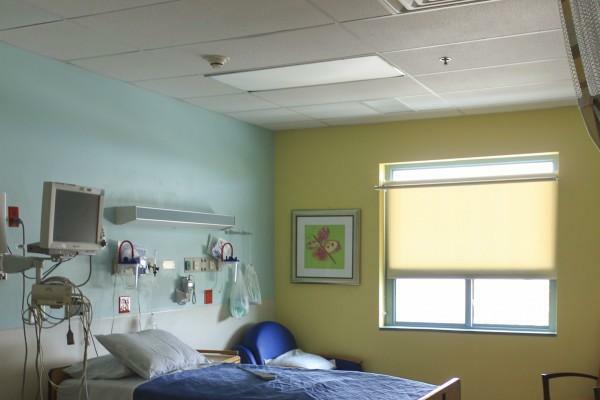 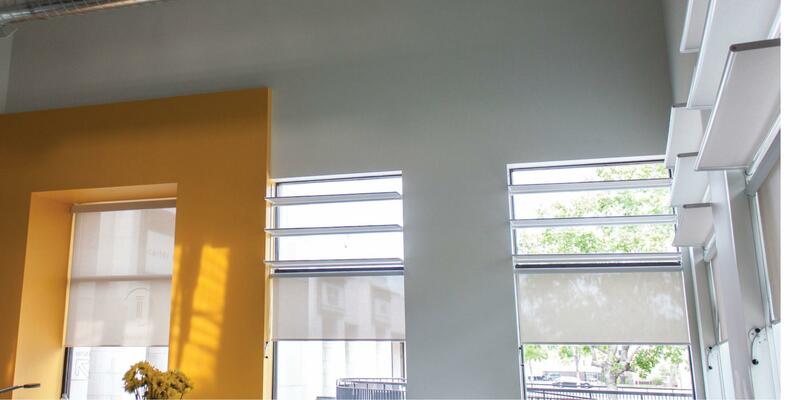 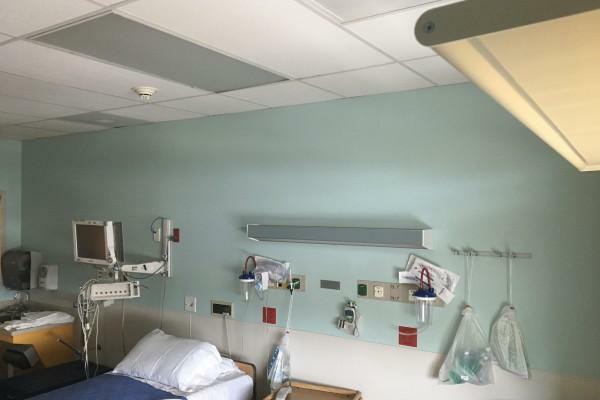 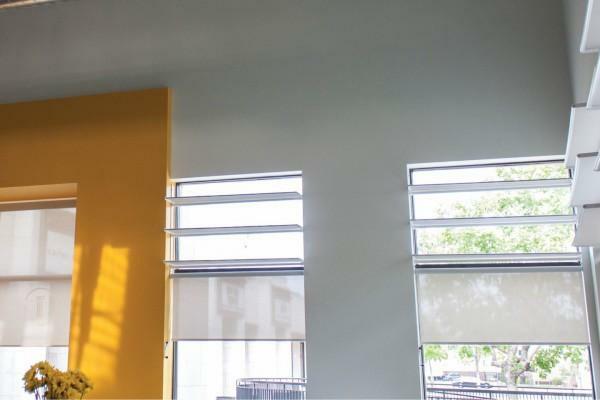 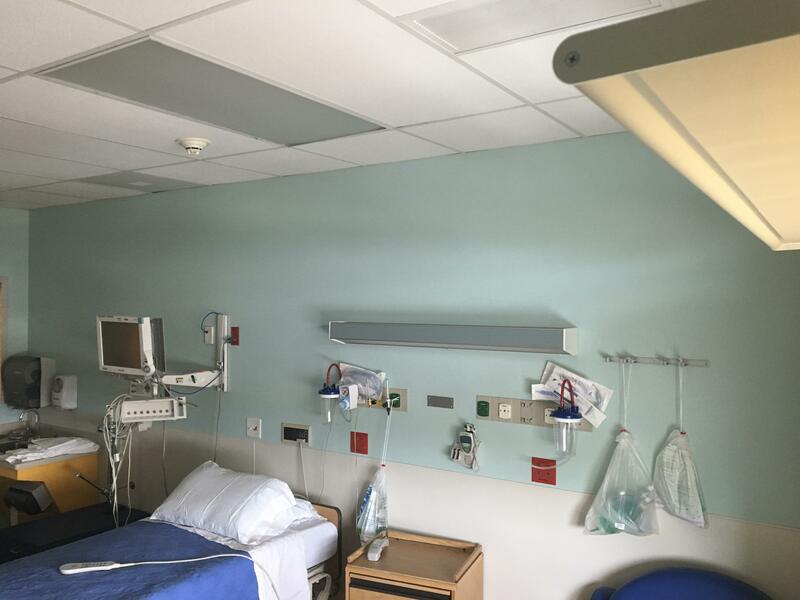 When renovating the pediatric floor at Summerlin Hospital in Nevada the glare-free daylight provided by the Dayliter Shade helped create a warm, hospitable environment encouraging speedy recovery. The product’s flexibility allowed for the lightshelf to be reduced in size to suit the relatively low window head without impacting the daylight and still meet code requirements.